Start your business with software with no limits. 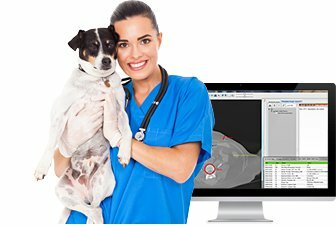 This complex veterinary information system and medical database provides the highest level of comfort of business and medical evidence for clinics of all sizes and provides a huge amount of features and management functions. Fast, easy and intuitative solution for veterinary practices, the ideal choice for small ambulances and medium-sized clinics. The Czech partner of the highly modular database system for obstetrcs and gynaecological medicine developed in close cooperation with the Fetal Medicine Foundation (FMF) in London, UK. Cloud based, fully automated system for pilots and crew with connection to information systems of AIMS (Easyjet, British Airways etc.). Thanks to more than 10 years of international experience with software development we can offer our experience and design and develop software according to your requirements. Proposed efective outsourcing of IT/Telco, development and professionals for maintaining your devices and services. Store and analyze huge amounts of your data? Our experience can easily help you find the right way to manage data and for the further progress of your business. Helping with the design of IT infrastructure, software architecture, LAN/WAN networks design including audit of existing projects. If you are interested further, please contact us for a detailed proposal.